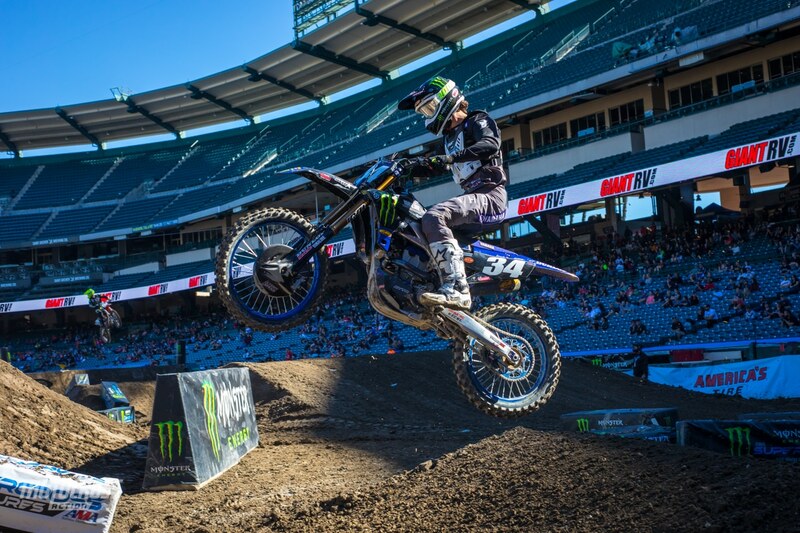 The frenchman, Dylan Ferrandis qualifies first at Anaheim 2. The qualifying sessions are over with and it’s Dylan Ferrandis who takes the crown as fastest 250 qualifier of the day. Adam Cianciarulo qualified second and during his post-qualifying interview he said that the track conditions were good and he thinks it will continue to dry out and become more hard packed as the night goes on. So far it’s still soft and rutted in a few sections. The Dirt Wurx crew has done an awesome job and so far the track has good traction and lots of ruts. This will make it a little more technical than normal and we think it will make for great racing. Nobody was able to beat Dylan Ferrandis’ lap time from the first qualifying session in the second round. 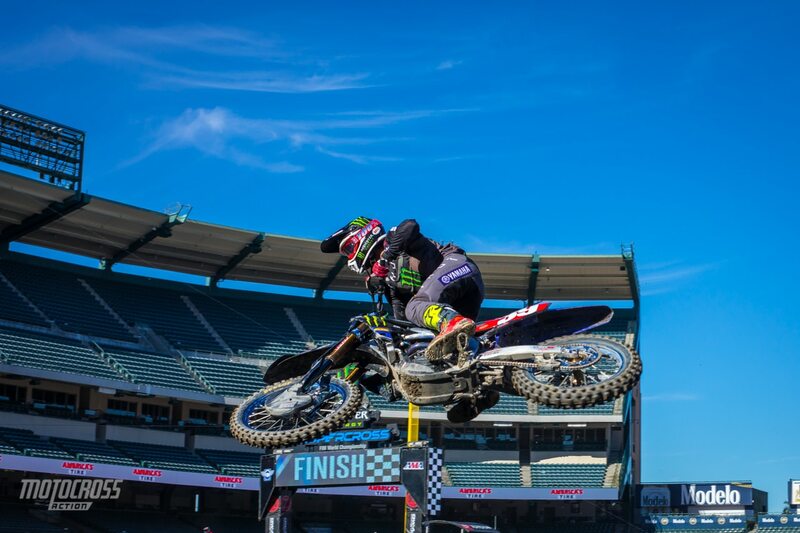 Dylan qualifies first at Anaheim 2 with a 58.637. 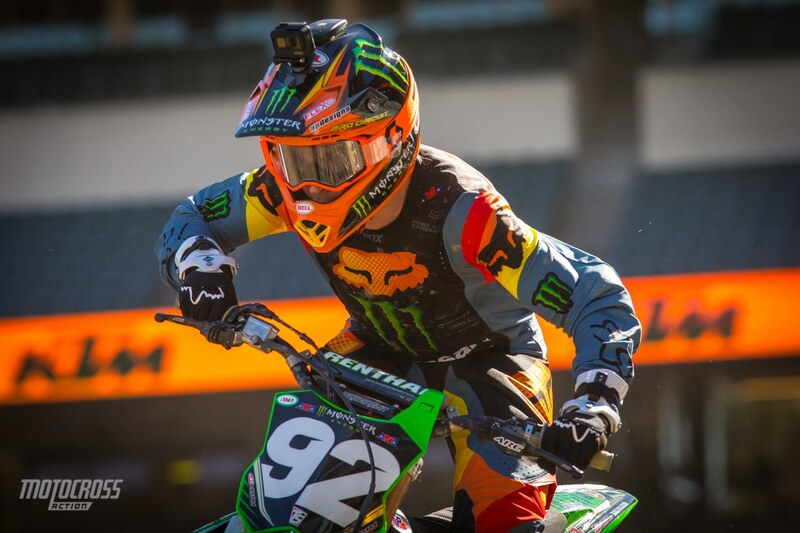 Adam Cianciarulo qualified second overall on his Monster Energy Pro Circuit Kawasaki. Colt Nichols qualified third with a 59.173.